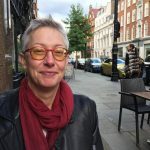 In this darkest time of year it is my pleasure to pass the flame that is the Growing Unitarian Universalism blog to my good colleague Carey McDonald. I know his added breath and vision will fan the flames even brighter. I started this blog in January 2012 as a platform for the UUA’s Growth Office. Back then Rev. Stefan Jonasson was the head of Growth Office, and the two of us were pretty much given carte blanche to think outside the box regarding UU growth. We will use this blog to share research, review resources, articulate strategies, identify good practices, present guest commentaries, and share stories from the field—all in an effort to stimulate Unitarian Universalists’ passion for sharing our faith and growing its congregations. It’s worth stating (over and over) again that the numerical indicators are only important in checking your perception and assumptions. It helps you see what’s really going on. Misused, numerical indicators can distract or induce shame. When congregations and Covenanting Communities focus on the other four kinds of growth, their vitality grows. What the world needs are more UU groups alive and awake in the world. Perhaps the most important blog post I ever wrote offered a tool for congregations to discern their Call in the world. Getting up on the balcony and looking at the last four years of Growing Unitarian Universalism blog, we see some trends in writers, types of posts and topics of posts. 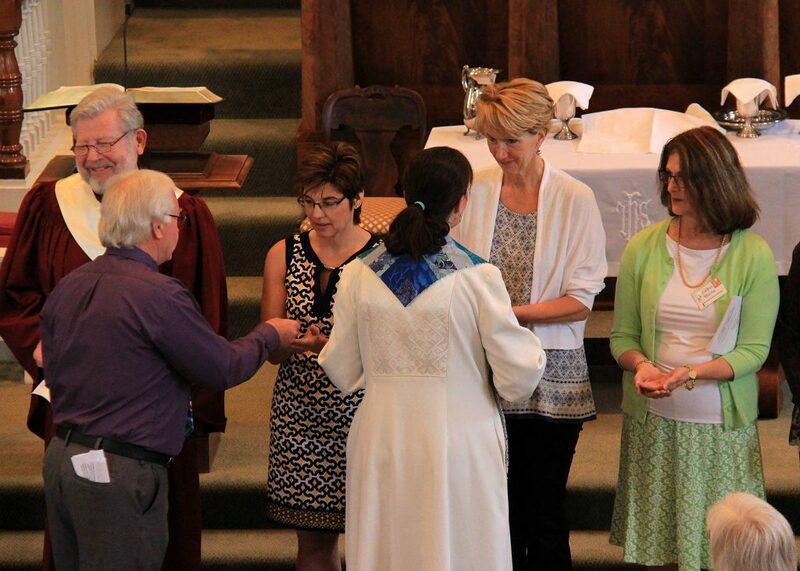 Over the years we invited colleagues from other UUA departments as well as leaders from the field to guest blog. 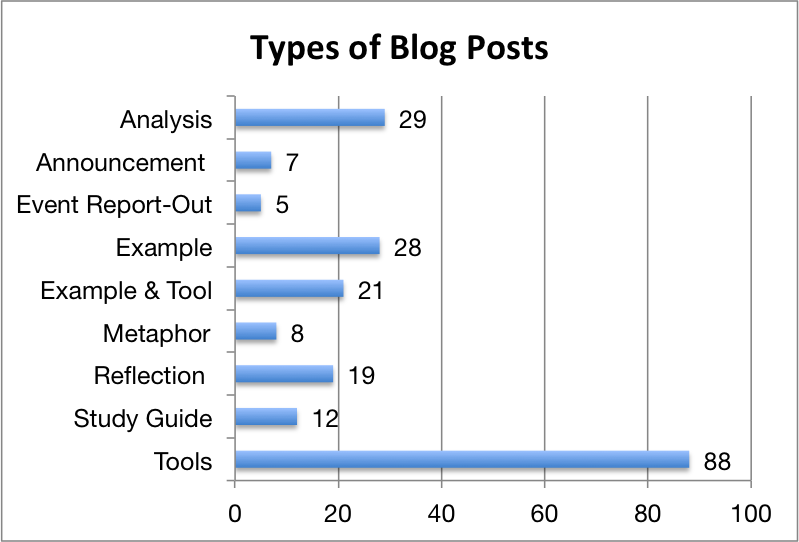 Readers craved tools, examples, and stories. Growth and data topped the topic chart. No more blogs about the 12th Man, Seahawks, and football. Those brought the most ire from readers. Road Tip! We’re better together! This fall I joined the Pacific Western Regional staff team. 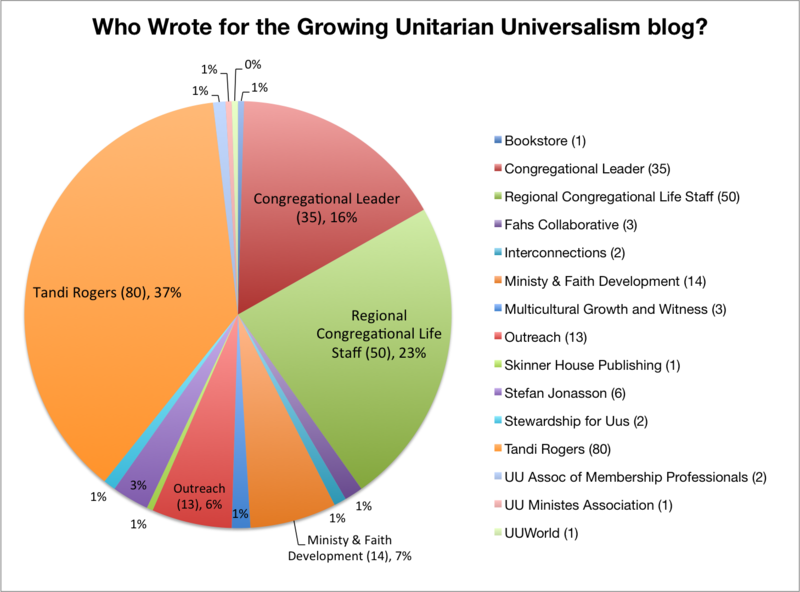 I honestly don’t have time for the Growing Unitarian Universalism blog. My plate is full. I am also a fervent believer in leadership succession planning and not hogging the potential. Religious work is a spiritual practice. When we claim a position for too long we rob others from the experience and those the position serves of refreshed perspective. Over 100,000,000 views of 228 posts about growing our Unitarian Universalist tradition and amplifying love and goodness in the world. I’d say that’s a good run. Rev. 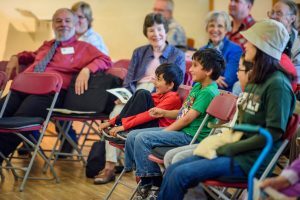 Tandi Rogers now serves the UUA as the primary contact for congregations in Alaska, Washington, and Idaho as well as shepherding the emerging ministries and the Accessibility and Inclusion Ministries program throughout the Pacific Western Region. She is also adjunct faculty with Meadville Lombard Theological School, teaching Religious Education for a Changing World. Tandi’s personal blog is Putting Religious Education in Its Place. Host a Conversation about the Elephant in the Room! I am so proud to be part of a denomination that is focusing much of its social justice energy on the Movement for Black Lives. How proud? Proud enough to have hosted a Conversation about the Elephant in the Room with my own congregation along with our county’s Interfaith Network. She’s big, she’s blue, emblazoned on the side of her body in bold letters is the word RACISM, and she cannot be ignored. She’s heading out on a coast to coast tour, and she would love to come to your community. There are lots of ways to use her. 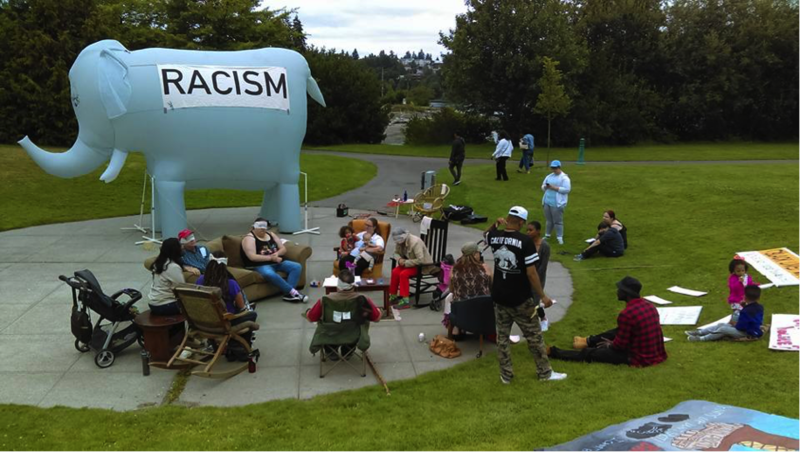 This is how we did it: At our local Gay Pride Festival this summer, we set up some comfortable furniture (and the giant pachyderm) and simply invited people to talk to each other. Some white people wore blindfolds that said “White Privilege”, a literal way to experience being blinded by white privilege while trying to understand racism. 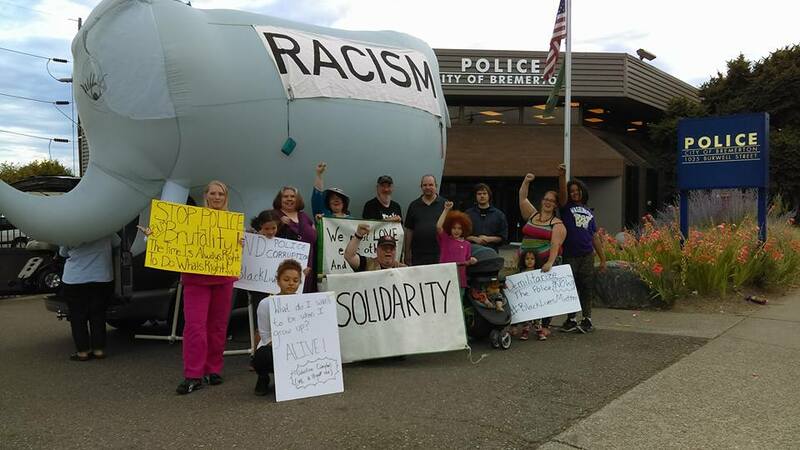 When the Movement for Black Lives called for a national day of action focussed on law enforcement on July 2, we answered the call by bringing the Elephant to our local police station, displaying signs to passing cars with messages in Solidarity. Many were uncomfortable with this action, maybe a bit too “edgy”. Ultimately it resulted in an ongoing positive dialogue that helped build relationship with our local police department. That’s what’s happened locally, and my local action has been inspired by what’s happening denomination wide. At Portland’s 2015 General Assembly, the Movement for Black Lives was a focus through the whole week, ending in the dramatic final plenary session where we struggled to agree on the wording to the Action of Immediate Witness titled “Support the Black Lives Matter Movement”. I was privileged to participate in the die-in where more than 200 of us were in the street, closing a busy intersection for 4 ½ minutes representing the 4 ½ hours that Michael Brown’s body was left lying in the street in Ferguson. It has not been a part of my Unitarian experience to be involved in nonviolent direct action to such an extent. I know it has been part of our history, but I’ve only been a Unitarian for 15 years! I couldn’t make it to the Columbus GA in 2016, but I followed it online. And there was Rev. Sekou and the Holy Ghost at the Closing Worship, leading thousands of Unitarians singing “Get Ready. We Comin’”, and yes yes yes, I felt the Spirit. If you feel it too and would like to bring that Spirit into your community by hosting a Community Conversation about the Elephant in the Room sometime in the next twelve months, follow the link to sign up! The #BeyondDenial Racism is the Elephant in the Room Action-In-A-Box is a terrific tool to engage in transformative dialogue on racism and white privilege, how racism continues to seep into the structures of society and manifest in our communities, engage the larger public to make commitments to do racial justice work, and practice showing up as better allies in the movement for racial equity. A few years ago, our community was impacted by floods. We learned quickly how devastating floods can be, especially to the most vulnerable in our community. Though we are not near the ocean, we are surrounded by rivers, lakes, reservoirs and ponds, and know both water’s capacity to bring life, as well as destruction. This is one of many reasons we were moved this past Sunday to use our water communion service – where we ritualize water’s healing grace – to acknowledge and hopefully offer some of that grace to our friends in Baton Rouge. Our entire offering plate will be shared with the UU Church in Baton Rouge. They will use it to support whatever they may need as they support their community, including directing it towards a local community organization they as they see fit. We will be sending over $2100 from this one Sunday – a Sunday where we were honoring the gifts possible when we join together in shared community, and the ways we come into community so that we can go out and bring more love into the world. 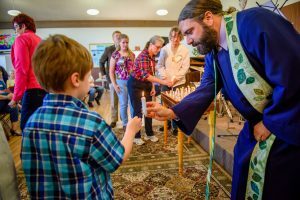 If you haven’t yet celebrated your Water Ceremony or ingathering service, or even if you have, maybe you and your congregation will join us in taking an offering and sending it their way. 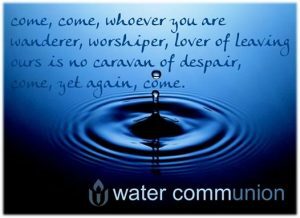 It is one small yet powerful way we can bring our water communion to life. Unitarian Universalists from outside greater Baton Rouge want to know how to help from afar. 1. “UCBR Flood Fund” is receiving funds to assist Members and Friends of our church in flood recovery, especially those without flood insurance coverage. Send to Unitarian Church of Baton Rouge, 8470 Goodwood Blvd., Baton Rouge LA 70806. 2. Send contact information if you are available to make a trip to this region and assist in the actual cleanup of homes. 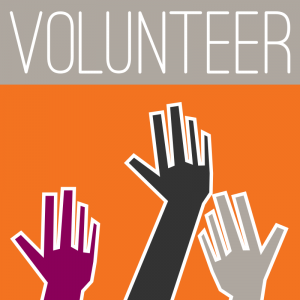 Local persons can send contact information if you have space to host a volunteer. 3. Financial contributions to the Together Baton Rouge fund will help anyone who has been affected by floodwaters and who completes the survey. Rev. 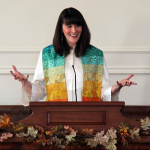 Gretchen Haley loves serving, praying, laughing, creating, discovering and collaborating with her congregation, the Foothills Unitarian Church, in Fort Collins, Colorado, where she began as senior minister in July, at the start of her fifth year with them (work that out….). She was lucky to join them in what they called their “3rd year of a 5 year culture shift from scarcity to generosity.” She looks forward to being a part of growing and strengthening this vision with them as they live into their new mission statement of unleashing courageous love in Northern Colorado, and beyond. Congratulations to the Mission Peak Unitarian Universalist Congregation (Fremont, CA), for being the newest UUA Breakthrough Congregation! 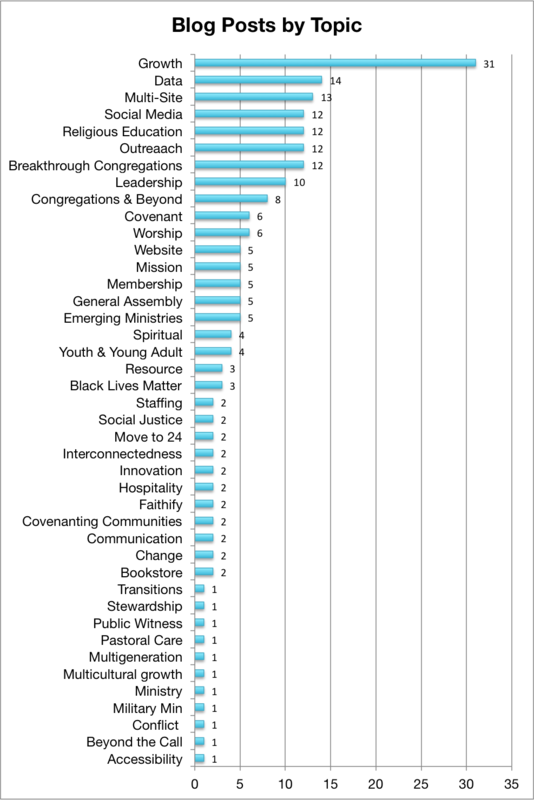 Each year the UUA’s Congregational Life Office recognizes a handful of congregations that have “broken through” barriers to achieve exemplary goals. UUFCO is highlighted in the current edition of the UUWorld, as well as the 2016 fall print edition. The following study guide is intended to accompany the article about the congregation. We hope that this enables lively discussions for your congregational leaders. 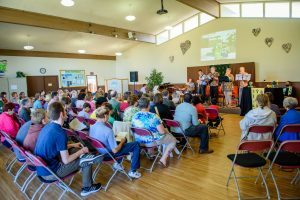 Mission Peak Unitarian Universalist Congregation in Fremont, California, attributes much of its success to a willingness to try new things. What are some of the “new things” that have been tried in the last few years in your congregation? Do you think of your congregation as a place where it is safe to fail? Congregational Life Staff in one of our regions has coined the term “experifail.” Has your congregation had some “experifails?” What did you learn? 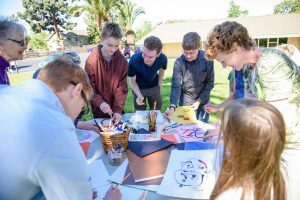 Mission Peak has a history of being involved with and supported by programs and services of the Unitarian Universalist Association. One such program, Leap of Faith, provided mentoring from another congregation. 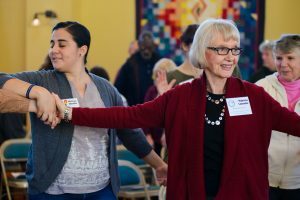 How does your congregation intentionally stay connected with our Unitarian Universalist Association and other congregations? What are some new ways you might find to deepen your congregation’s collaboration with other Unitarian Universalists? A former minister, the Rev. Chris Schriner, refers to the “good vibes” between people of different theologies. What are the ways different theologies are acknowledged, welcomed and explored in your congregation? What other differences are notably welcomed? What intentional ways have you learned to engage in dialogue across differences? The Rev. Jeremy Nickel stresses the importance of opportunities to live our values. When there is behavior in the congregation that is not consistent with our values, does your congregation have processes for calling people back into right relationship? What are some of the ways members of your congregation are supported in living out our values in the larger world? 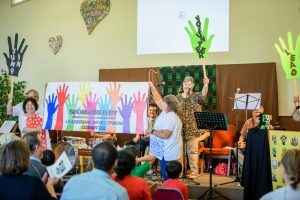 Are there ways for members of your congregation to act together in the world? Rev. 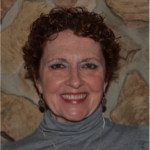 Jan Christian serves as Congregational Life Staff in the Pacific Western Region of the UUA. The following article was translated from an article from Thom S. Rainer, a Christian growth strategist called Six Terrible Ways to Recruit Ministry Volunteers in Your Church. Make a general announcement that you need someone: You will likely get the folks who already do too much, or folks who have no skills in the area where you need the help. Wait until the last minute: When folks are asked without proper lead-time, it makes the project seem unimportant. Your volunteers can feel overwhelmed, undervalued, or even feel like asking them was an afterthought. We want to show how we value the work and the volunteers. Ignore unique gifts and abilities: People have different schedules, skills, and interests. If someone is put in a position that doesn’t work for who they are, no one wins. Your volunteer might quit because they can’t actually follow through or they might just do a terrible job. Pour on the guilt: Doing the work of our faith can bring people fulfillment and joy! But if they are only doing it because they felt guilty about turning you down, they will likely feel angry, frustrated, and burned-out. Don’t follow up: Not checking in later can make it seem like you were just filling spots on chore chart. Mark your calendar to check in after the first month, and then again at three and six months. Ask how they are doing and what they need? Your volunteers will feel so appreciated and valued! Forget the spiritual: As religious leaders, we don’t want to leave out the spiritual discernment involved with filling our volunteer positions. Take some time to pray or meditate about your people and your programs. It can really help you with clarity. The Rev. 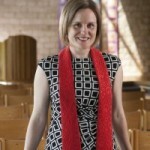 Sarah Schurr serves the Pacific Western Region of the UUA as Congregational Life Staff. Sarah has years of experience working with small congregations who rely heavily on volunteers. In addition to her small church expertise, she works closely with ministerial transitions in the region. Spiritual, But Not Religious, My Hindquarters! Boston, we have a problem. We UU’s are part of a religious movement that can’t seem to embrace religious ritual. 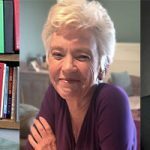 Last December, I organized and presented a webinar for religious professionals called “Sunday Morning Best Practices.” In preparation for this webinar, I interviewed eight demographically different congregations from around the country, from Alaska to NY to Florida and places in between, to identify the hallmark attributes of thriving congregational youth programs. Through these interviews, I was able to pinpoint nine positive characteristics of healthy youth programs in a UU context. 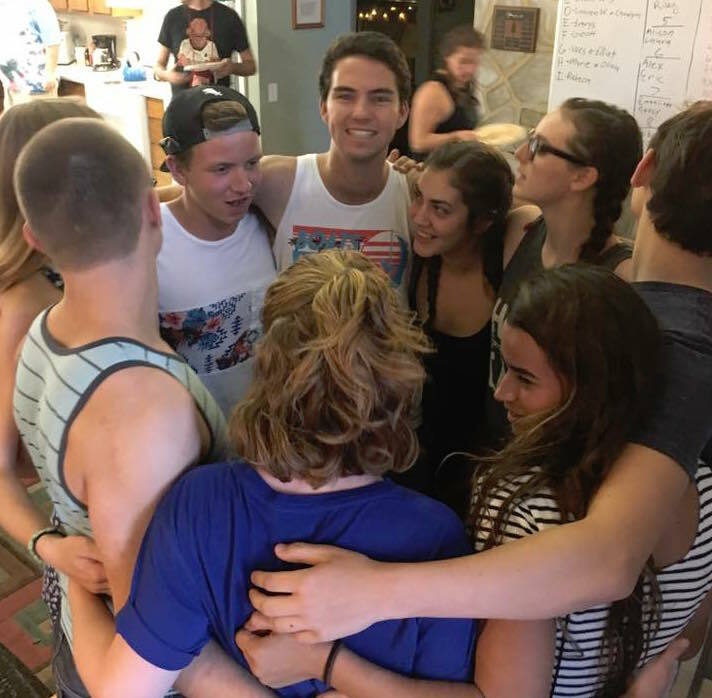 Aspects like topical flexibility, a commitment to faith in action work, and a youth program woven into the larger ministry of the church were identified and reported in the webinar. But, sadly—and it broke my heart of hearts, there was also one glaring absence. None of the eight congregations regularly engaged in spiritual practice when their youth gathered. Not one. 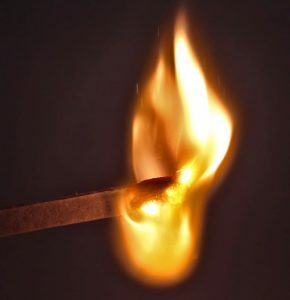 Let me be clear, when I refer to spiritual practice, I am referring to exercises which help us connect with the holy, go deeper, and / or provide us with a reflective experience that transcends the ordinary. Meditation, prayer, mantra, yoga, lectio divina, examen, etc. are examples of practices of this sort. For starters, religious ritual and related spiritual practices, are the only offerings that our religious institutions have to contribute that the wider world cannot. Though worthy and worthwhile, philos-political discussions and forays into social action, which are each enterprises that are heavily emphasized in our congregations, are both activities that can be regularly and easily accessed through secular channels. Secondly, when youth exit our religious education programs, will they be equipped with the much needed skills and tools to navigate a complex, and arduous life? Where will their spirit go when they lose a loved one? How will they cope with the losses that life inevitably serves up? What internal space(s) will they access when they experience a transcendent moment? With what methods will they express deep remorse, or gratitude? Ever wondered why so many of our youth don’t return to Unitarian Universalism after bridging? Why we are in constant triage mode in regards to our young adults? I believe firmly that it is because they leave our churches lacking these most critical tools, and also without the religious identity that they indelibly impart upon the user. Spiritual practice is an expression of salvation in this life, and it calls us home. And let’s be clear. Our youth groups are exceptional microcosms of the larger congregation within which they reside. If the congregation is squeamish about spiritual practice, or religious language, or (insert characteristic here), you better believe the youth group will very accurately personify those very qualities. This holds true for positive attributes, too, like commitment to justice, an emphasis on inclusivity, and upholding the search for meaning. So where do we go from here? I recommend that we begin a conversation about how we might intentionally incorporate and embrace spiritual practice in each and every space that UU’s gather. Whether it is a Sunday service, or a meeting of the Board, there should be a purposeful element that reminds us, as Parker Palmer asserts, “That spirit is at the center.” These are religious undertakings, and we are called to be our highest, best selves throughout their span. In my work and to this end, I have put together a multigenerational event this September 23-25th in Portland, Oregon, called the Youth Ministry Revival with the theme of “Engaging Spiritual Practice.” About 80-100 youth and adult teams from congregations around the country will explore how we may more deeply connect to the divine—internally, interpersonally, and community wide, through the art of practice. These teams will be charged with bringing back new tools, skills, and learning, not just to their youth groups, but to their entire congregation. Perhaps you will join us? 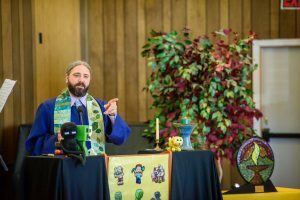 Eric Bliss is the Youth Ministry Specialist and Congregational Life Staff of the Pacific Western Region of the UUA. Aside from his Youth Ministry Specialist duties, Eric is currently a member of the Fahs Collaborative Guiding Team and is on the UUA Youth Ministry Roundtable. He is the loving father of two beautiful boys, named Hollis and Ozwell, is an avid soccer fan and coach, loves skateboarding, playing guitar, and exploring the outdoors. At First Church in Sterling, we trained 18 folks to be members of our “Called to Care” team (a training created by the UCC). When their training was completed, I had a private ceremony for the team, touching them each on the forehead with water to use their gifts for blessing the world. In our public worship service, I used the following words to commission them, and anointed their hands with oil. Robin: I ask the members of the Called to Care Team to come forward and stand at the front of the church. There are many ways that together we provide pastoral care here, because as just one person, I can’t do it all. And so we must always widen our circle of caring, if we are to make it possible to care for our over 300 members and friends with focused pastoral attention. We are called to love one another, and so the pastoral ministry of this church is not in my hands, but in ALL of our hands. And so we have Debbie Gline Allen, our minister for children, youth and families. We have the diaconate who have monthly caregivers on duty headed up by Carol Hoffman, and our meals ministry headed up by Paula Fogerty. 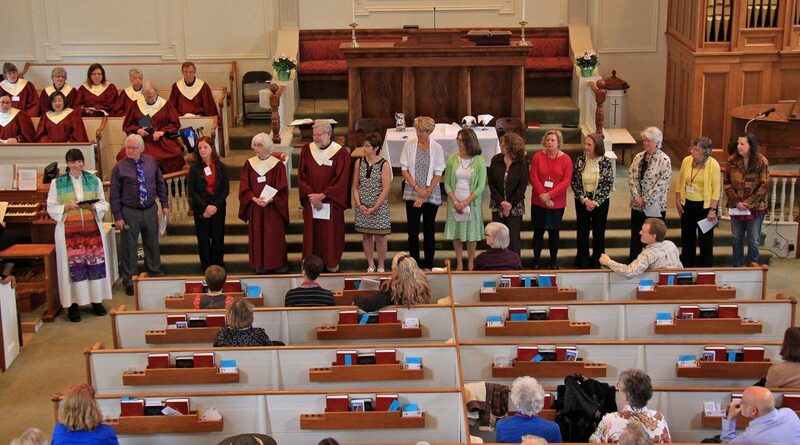 All of these groups are a part of the Diaconate, which is chaired by Head Deacon Roy Lane. We have small groups like Aging Gracefully, and our young adult group, and our women’s fellowship, and our youth fellowship. We have a welcoming team for our newest members and visitors. We have a knitting group that makes prayer shawls. And so much more. And today we commission our new Called to Care Team, also a ministry of the Diaconate, and an extension of the pastoral ministry of your professional ministry team. Along with myself, Sherri Direda and Dave Russo are the leaders and trainers of the Call to Care team. The team consists of: Vicki Gaw, who coordinates our activities, Judy Doherty, Judy Conway, Barb Dumont, Clyde Hager, Vern Gaw, Marianne Powers, Jan Patten, Robin Harper, Liz Salo, Carol Hoffman, Cathie Martin, Heather Cline, (Ronna Davis) and Toby O’Reilly. The Called to Care team works very closely with me. They went through several hours of training and mentoring this year by me, Dave Russo, a pastoral psychotherapist and deacon, and Sherri Direda, a licensed social worker and clinician, to learn how to provide one-on-one, confidential pastoral and spiritual care. They will continue to meet monthly with their training team for advising and continuing education. They take this commitment seriously. 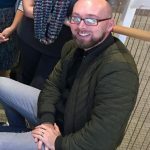 Dave: There are many reasons why you might want to talk to a lay minister from our Called to Care team. Some reasons include major life transitions like the death of a loved one, divorce, job loss, financial strain, and chronic or terminal illness. Other reasons might be that you are seeking someone to have conversations about spirituality, or that you are continuing to struggle with a longstanding circumstance, or maybe you just want a soul friend, a friend who can listen, ask meaningful questions, and care for your spirit in a unique and gentle way. Lay ministers provide a listening, caring space for reflection about your emotional and spiritual journey. Each of these people were chosen or recommended because of their long-term commitment to our ministries, and their particular ability to listen and to be present. This is their ministry. Let us now commission the Called to Care team in their role as spiritual leaders and listeners. Friends, are you committed to offering and encouraging pastoral care within this congregation? Will you lead by example in your actions and in your words, in your pastoral prayers and in your personal spiritual life? Will you reach out to those in need, with open minds and open hearts, seeking always to be a healing presence: God’s hands and feet in the world? Robin: Congregation, will you place your trust in these people? Will you allow yourself, even push yourself, to ask for their care, and to receive their care? Will you honor them with the role and responsibilities of lay ministry? Robin: In response to, and as a sign of, this affirmation of your call to service I follow the ancient tradition of anointing you with oil that has been blessed in the name of God: in the name of all that is beautiful, true, and good. As this oil absorbs into your skin, may you absorb into your soul all the love and good wishes which surround you in this moment. Let it be an outward reminder of God, who calls you to this work. Called to Care team: We thank you for your faith in us, and vow to do our best to live up to the charge you have given us. We promise, also, to remember that the ultimate responsibility for our church lies with all of us, for this is our home, our community. May we all do what we can to make this a community where we are gathered in the spirit of Jesus, and where we endeavor to create heaven here on earth. Photo credit: Linda M. Davis. 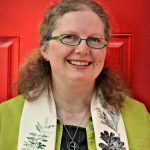 Robin Bartlett is the pastor of a progressive Universalist Christian multi-denominational church that includes, but is not limited to, the UUA in Sterling, MA. She was born, raised and ordained UU and has dual standing in the UCC. Robin firmly believes that every thing, every one and every event deserves a blessing. At first glance, it seemed like the evening news did a good job of covering this year’s Pride Parade. After all, the Minister of the Unitarian Universalist Congregation of Anytown was given a ten second sound bite (they even spelled her name right!). 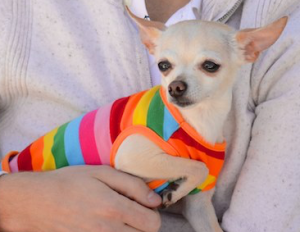 However, no one watching was really able to identify the involvement of the rest of the congregation because they were marching and waving behind the Grand Marshall and the camera eventually zoomed in on a Chihuahua sporting a rainbow-colored vest. There was nothing that indicated who they were or where they were from. What happened? Earlier that morning, Fred left the banners and signs at the church, thinking Norma (chair of the Social Action Committee) was going to pick them up. Norma, however, thought Mary (chair of the Communications Committee) was going to bring it directly to the parade after working on the messaging to make sure everything is consistent. Thus, 40 people from the congregation became anonymous marchers and blended right in with the rest of the crowd. Unfortunately, this comedy of errors plays itself out quite often in congregations where there’s confusion as to who’s in charge. Sometimes, the allergy to authority gets itchy enough that it can even paralyze the entire organization. How do we prevent such a dysfunction from happening while still empowering everyone to do their jobs well? One way to clearly assign roles is to come up with a RACI chart. Responsible: Who is the person/group/committee responsible to get the task done and carry out the process they committed to? Accountable: Where does the buck stop? Who is ultimately accountable and whose job and reputation is on the line if stuff doesn’t get done? The Rs are accountable to the A and the A can delegate responsibilities to the R or the A can be the R as well. Consulted: Who is consulted before a decision is made? Perhaps not every decision on every single thing, but ones that are complex enough that warrant extra thought and consideration. The Cs may have some kind of skin in the game or may be an expert on the matter at hand. Informed: How is the communication loop closed and who is informed after the decision is made? These are the ones who may be impacted by decision, so to some degree, they are a stakeholder. In our example above, what might an RACI chart look like? There are obviously others involved and other tasks performed in order to make something as seemingly simple as a Pride Parade go off without a hitch. In smaller organizations, less people have more responsibilities and in larger ones, it is even more important to come up with this chart. Some may argue that as UUs, we don’t need such a hierarchical system because it’s antithetical to our the(x)logy. I would argue that RACI works very well with our fifth principle because the democratic process is used to determine who has which job and includes more people in the implementation of the tasks. It also ensures no wheels need to be reinvented and no volunteer is burned out in the process. The collaborative process is still in play here because the A doesn’t and couldn’t possibly carry out all the functions alone. What is implicit is the ultimate A is the mission of the congregation and our faith writ large. Everything we do is in service to our religious mission. Why not try this out yourself? The Pride story is just a fun example. RACI charts are usually done on a higher level, such as Staff, Worship, Religious Education, or Pastoral Care–where the real power struggles take place. In these circumstances, make sure you’re clear about the process, especially the part about which body gets to have “final” say—whether it’s the Board, Executive Team, or Council of Leaders. Yet be flexible enough to revisit it a year or two later. Who knows, next time Pride rolls around, you may actually steal the camera away from the Chihuahua. * Or not. *No animal was harmed in the writing of this blog. Rev. 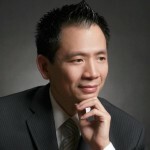 Dr. Jonipher Kūpono Kwong proudly serves as a Congregational Life Staff for the Pacific Western Region of the Unitarian Universalist Association. Part of his key area of ministry (though by no means is he an expert) is to be a coach (or more like a cheerleader with pom-poms on) for innovative, experimental ministries. He is an entrepreneur by heart and an out-and-proud Unitarian Universalist Evangelist.